Can you believe that 87 percent of women say they’re confused about skincare products? It’s easy to see why! There are so many ingredients in the skincare products we use on our faces and bodies. But, more importantly, there are a number of skincare ingredients to avoid which could be causing negative effects. By following our list of no-go chemicals, you can make sure you keep your skin looking natural and healthy. Want to know the top 10 toxic beauty ingredients to watch out in skincare products? Let’s go! You may never have heard of parabens, but it’s in lots of the personal care products we find in our local drugstore. Check your shampoos, moisturizers, and foundations to see if parabens are contained in the product. We don’t know for sure whether or not parabens are actually harmful to human health. There is evidence that parabens can result in the growth of breast cancer cells. However, other people claim parabens have no negative effects on human health. We may conclude that parabens have different effects depending on the skin type of the individual. So, if you want to be careful with your skincare products, it’s important to avoid parabens altogether. You probably come into contact with sulfates every day without realizing it. When you clean your teeth with toothpaste to washing your fash with cleansers, you may be using sulfates. There is more than one sulfate. But the most common kinds are called sodium lauryl sulfate (SLS) and sodium laureth sulfate (SLES). We know that sulfates remove the moisture from your skin which can cause irritation. Even though it has been claimed that sulfates are safe in smaller amounts, you may choose to avoid them altogether to be on the safe side. Did you know that many cosmetics contain phthalates? It’s this ingredient that provides the lubrication and softening to many products from shampoos to nail polish. Phthalate is a kind of endocrine disruptor. Evidence shows that there are potential links between this and the spread of breast cancer. The consumption of phthalates has been found to be connected with negative effects on hormones. Have you ever wondered whether fragrances and perfumes can damage your skin? Such products are comprised of a mix of natural and artificial ingredients. Perfumes and fragrances have been connected with headaches, rashes, and asthma. Furthermore, according to a 2014 study, the leading cause of migraines for 3 in 4 women was perfume. That’s why many women have switched to natural perfumes which are free of artificial chemicals. Have you ever heard about formaldehyde? It’s a flammable and colorless gas. It’s often used in skincare and cosmetic products as a preservative. However, it has been found to cause skin irritation and breathing problems. But, even more seriously, formaldehyde has been classified as a human carcinogen. Only minor exposure to formaldehyde may only have marginal effects on human health. However, if you’re a stylist, you’re probably regularly exposed to high levels of formaldehyde. There is no easy solution to avoiding formaldehyde. But, make sure your workplace has open windows and ventilation. At least this can reduce your exposure to formaldehyde while it lingers in the room. Phenoxyethanol is used in a number of cosmetic products as an anti-bacterial. But, few people realize the damage it can cause to human health. Although it’s extremely harmful if swallowed, breathing in or absorbing phenoxyethanol into your skin can also be damaging. Some people report experiencing mild skin irritation and blistering after the use of cosmetics which contain phenoxyethanol. Even though, the use of phenoxyethanol is small quantities is apparently safe, stay safe by avoiding using it multiple times a day. Toluene is actually derived from petroleum and coal tar. So it’s not surprising to hear that it can cause damage to your skin. It’s often used in nail polish and other nail treatments. Plus, hair coloring products have also been known to contain the chemical. According to studies, the chemical can lead to respiratory system damage, nausea and skin irritation. Pregnant women should also be especially aware of the damage high exposure to the chemical can cause to the fetus. There are numerous types of alcohol which can be found in skin and cosmetic products. The symptoms include skin dryness, irritation, and inflammation. Exposure to alcohols, such as benzyl alcohol or methanol, can cause the natural protection of the skin is being damaged which makes it even weaker. Although you may find that such products result in clearer and healthier looking skin in the short-term, the long-term damage to your skin’s health could be long-lasting. The polyethylene glycols (PEGs for short) are chemicals used to thicken and soften many kinds of skin care products. Although such products are usually safe to use on your skin, they can cause damage if your skin is already damaged or broken in places. Propylene Glycol (also known as PG) is an ingredient in shampoos and lipsticks. While you can wash off the shampoo, the PG will stay on your scalp for longer. By reducing the moisture and oils which naturally occur on your skin, the PG dries out your scalp. This may cause you to get into a cycle of using moisturizers which further damage your skin. It’s up to you to make sure you’re using skin care products which don’t damage your skin. 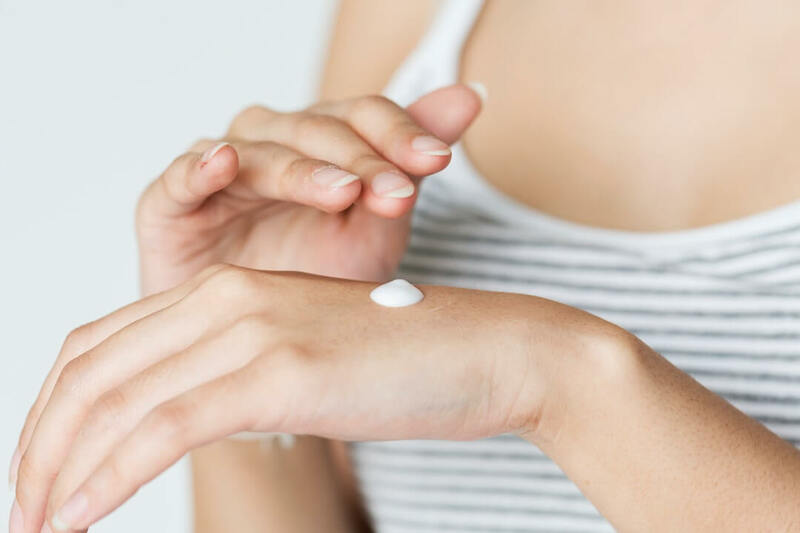 By following our list of skincare ingredients to avoid, you can ensure you’re using natural and healthy products to keep your skin fresh and healthy. Always read labels and information carefully about every skincare product you buy. This way you can make sure you’re not exposing your skin to harmful chemicals. Check out our online shop for natural and chemical free products.